Food Trucks have recently been exploring alternate methods of business to compete with their brick and mortar rivals. One of the best methods food trucks have been using is integration with innovative technology to manage and maintain their businesses, while attracting new customers with flexible ordering options and modern design. Food trucks have attracted a key demographic in their marketing techniques, gaining mostly young followers who flock to the trucks for their cheap food and trending designs. By working with new technology food trucks can become more flexible in how they interact with their customers, getting on their level to provide fully functional service. 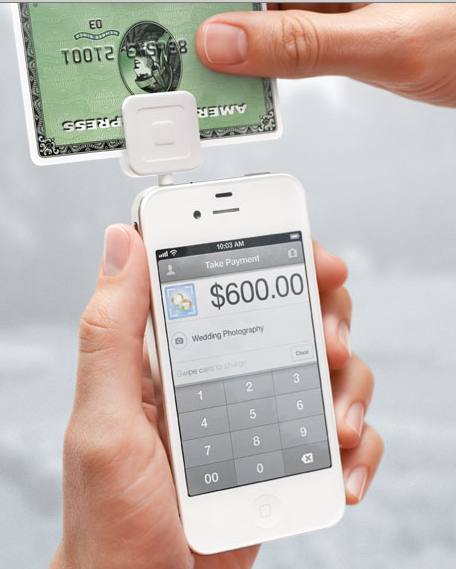 Square is an application that food trucks throughout the country have begun to use to accept payments on a mobile device. Until the advent of Square, most food trucks only accepted cash from customers, but Square opens up a new realm of possibilities for how customers can pay. The app was created out of frustration with current credit card processing systems, so the founders decided that Square could be used to accept payments on the go, with a small credit card reader than can attach to any smart phone for use. Food trucks no longer have to worry about customers having enough cash to order food, and with no monthly fees or obligations and such an easy to sue interface, Square is quickly catching on in the mobile food industry. With new gourmet food trucks changing the perception of street food to something for everyone from the previous ‘street meat’ label, incorporating technology is the logical next step. At Foodtoeat.com we have provided food trucks with GPRS printers to wirelessly receive online orders in seconds. Incorporating technology into the way food trucks operate ensures that they are progressing in the way they operate, becoming a permanent fixture in the way we eat. For years my friend owned and ran a food truck, until she had kids and decided to stay home. She’s an excellent cook and people would rather visit her food truck for a hot meal than the local restaurants – I’m sure she was taking plenty of their business. Fast, convenience and delicious can’t be beat. few things done. is far more effective and will make life much easier for you.